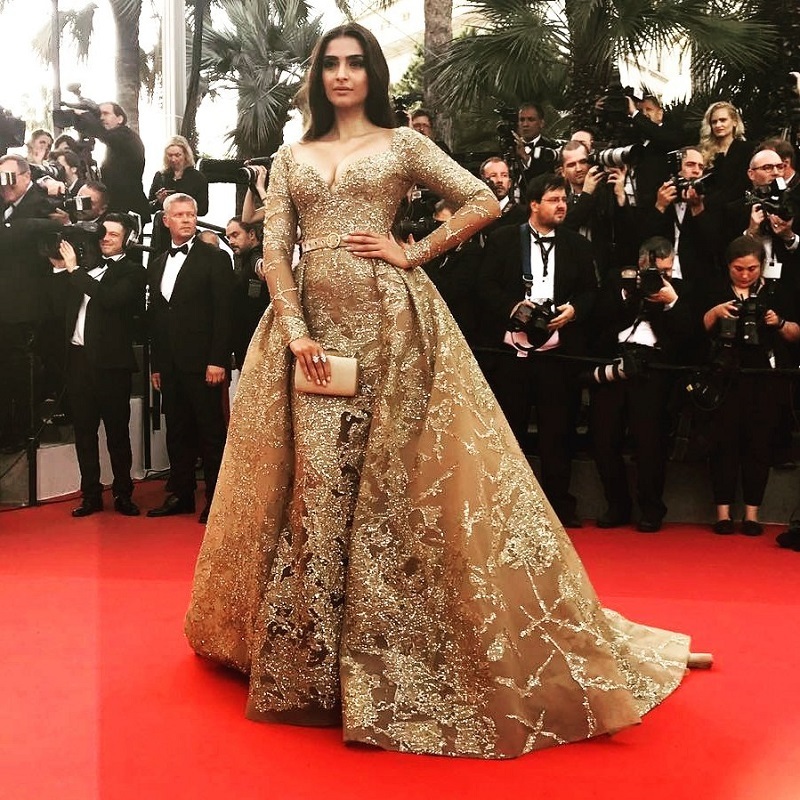 Sonam Kapoor, who dependably makes us spout over her high on design outfits is right now killing it with her out-of-the-crate and particular outfits at the Cannes. Ditching those flowy princess dresses, Sonam Kapoor has set the temperature high with her prismatic saree, a pink Elie Saab gown and her bohemian look is currently the talk of the town. 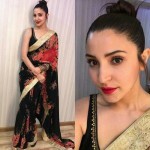 And now some new pictures of the actress are doing rounds on the internet, in which she can be seen wearing a rich white and blue outfit by Abu Jania and Sandeep Khosla. Keeping her look natural with minimal accessories, this look of Sonam Kapoor is one of her best up until this point. 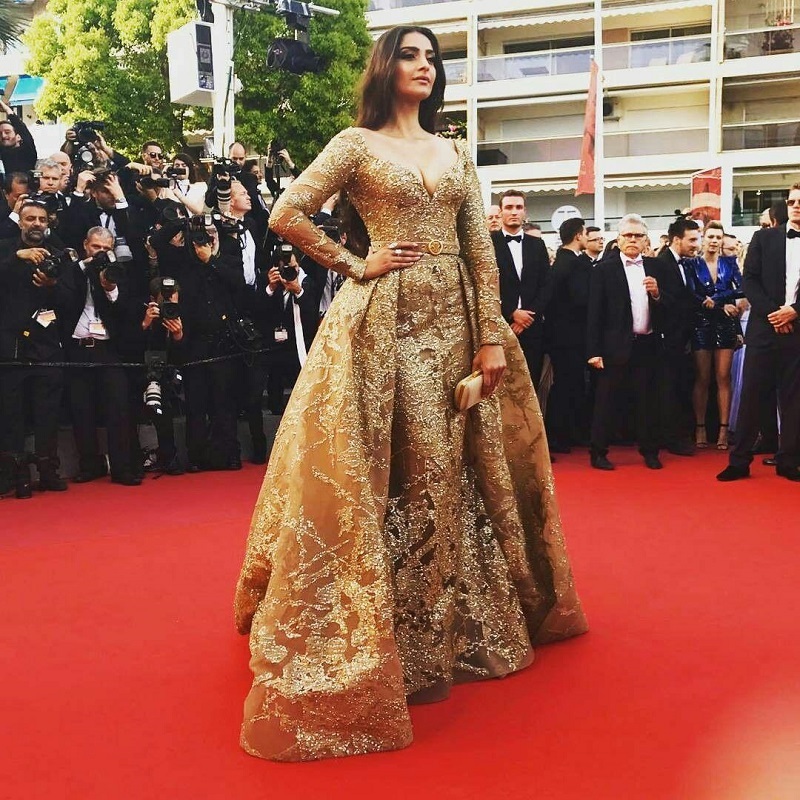 The actress walked the red carpet of the 70th Cannes Film Festival on Sunday as the ambassador of the global cosmetic brand L’Oréal Paris and this latest look of her is reportedly for a Vogue India’s photoshoot. This summer-ready outfit of Sonam Kapoor is just perfect and the way she carried it is just amazing. 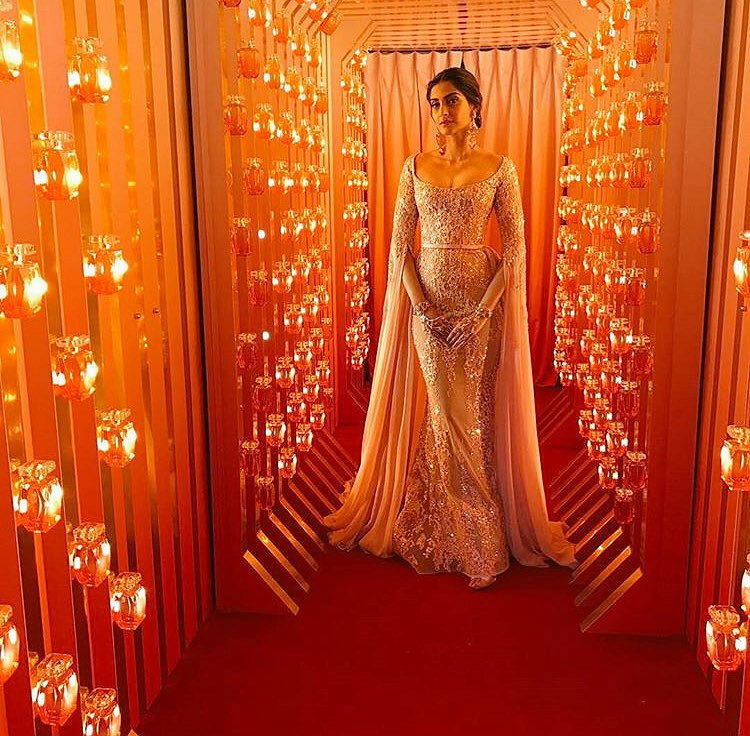 Sonam Kapoor shines in a pink couture gown as she walks the red carpet. 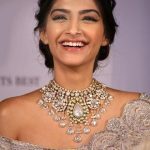 Sonam Kapoor took charge of the red carpet wearing a pink Elie Saab gown, which had a deep boat neck and a flowing skirt with a small train. She looked both elegant and dramatic. The bell sleeves were magnificent and looked amazing on her. Celebrity stylist and Sonam’s sister Rhea Kapoor accessorized her dress with statement earrings and other ornaments from Kalyan jewelers. Also, the makeup artist Namrata Soni used a palette of rose tints for her. Slightly loose hair with a low bun made highlighted her neck and collar bones. Kapoor was also seen attending a press meet during the day wearing a unicorn-hued, dazzling prismatic sari from the label NorBlack NorWhite, by Canadian-born designers Mriga Kapadiya and Amrit Kumar. Sonam Kapoor looks ethereal as she goes for Bohemian look on day 2. 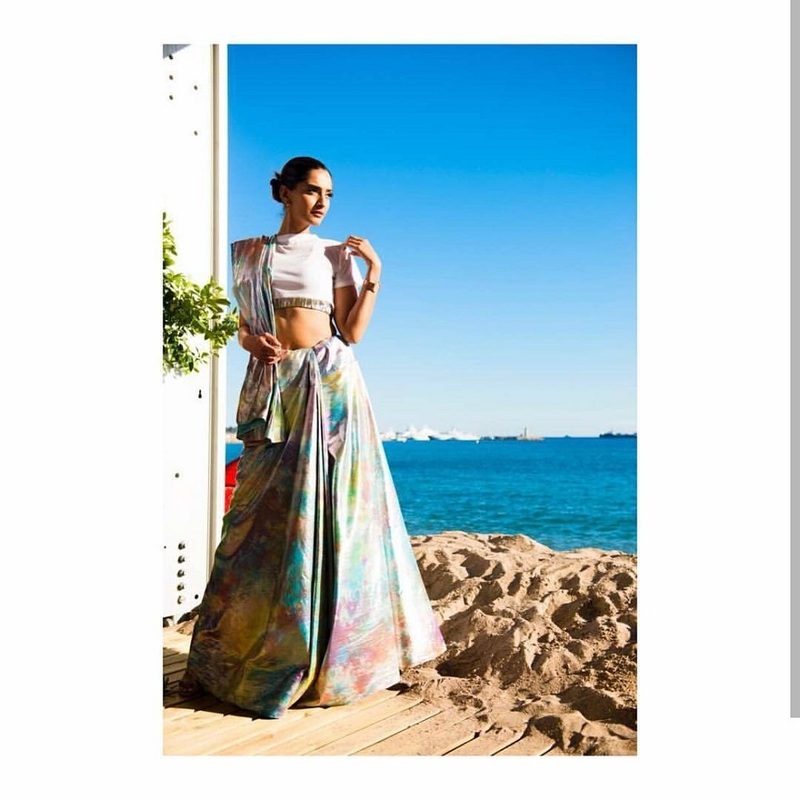 The wide-legged pants from the house of in an Anamika Khanna have Desi embroidery all over it is paired with a bralette-style blouse. The red cape is giving an x-factor to the outfit. The red headscarf is giving her a complete boho feel. 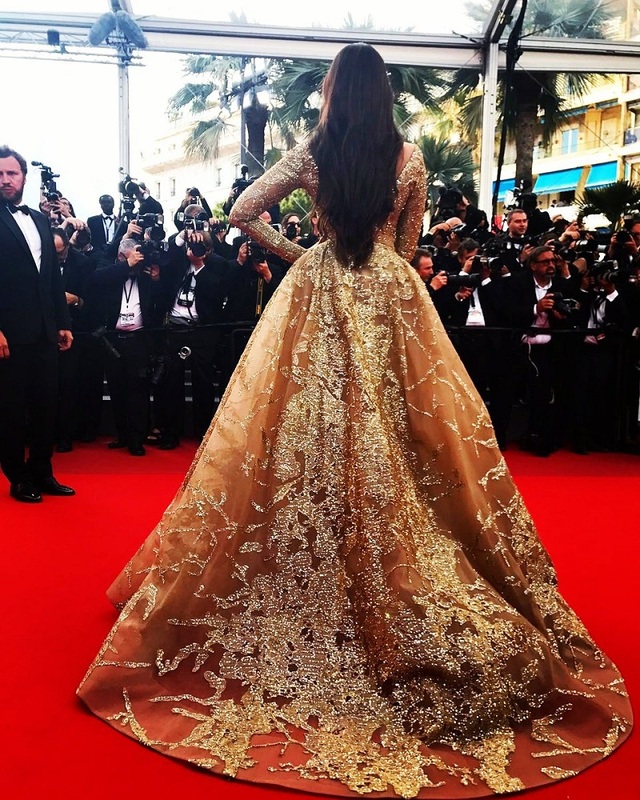 .After shimmering in a gold-pink Elie Saab gown, the fashionista decided to set the red carpet ablaze with her ultimate finale look! 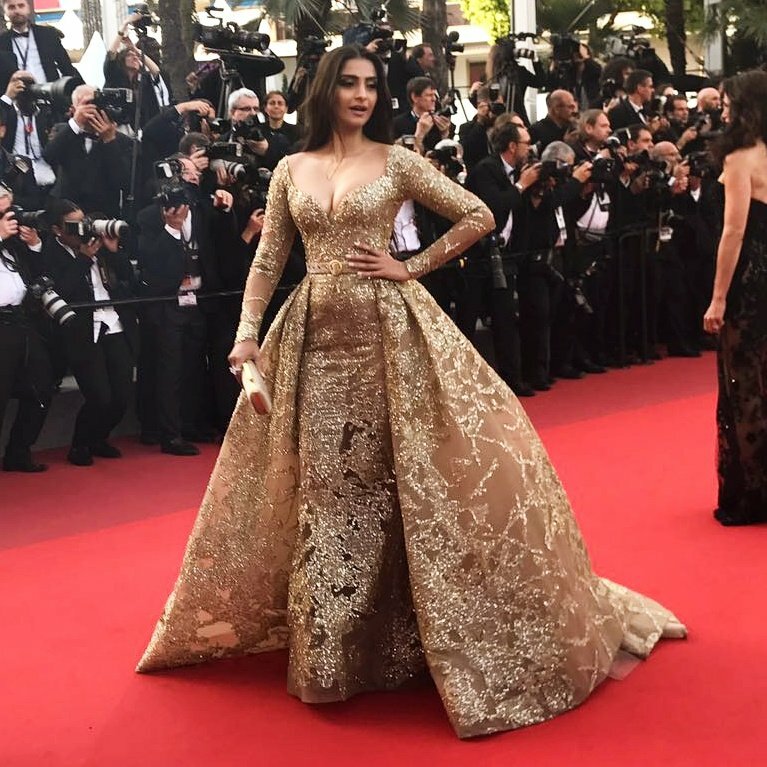 Second appearance of Sonam Kapoor at the ongoing Cannes Film Festival was stunning as she walked the red carpet in a gold Elie Saab gown. The actress accessorised her look with diamond earrings by Chopard. She was attending the screening of The Meyerowitz Stories.